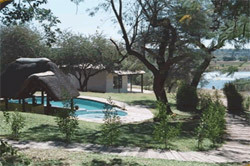 Information on Rundu Namibia, location of hotels, lodges, camp sites, guest houses, bed and breakfasts and places to saty in the Rundu area of Namibia. 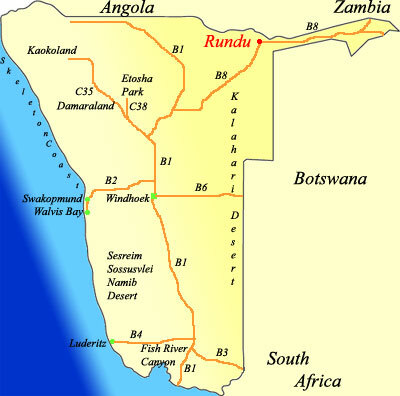 Distances from major attractions to Rundu and information about shops, fuel and facilities. 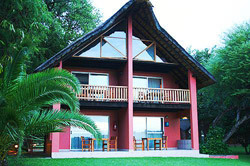 The Kaisosi River Lodge is situated 7 kms East of Rundu, in the North East of Namibia, on the banks of the perennial Okavango River and on the route to Popa Falls and the Caprivi. 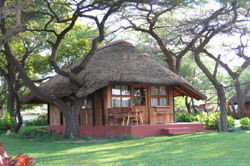 We offer you complete relaxation and a true African experience. 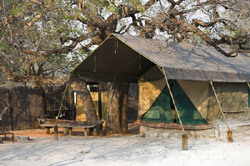 Situated on a large forested sand dune and one of the very few high points along the Okavango River, Shamvura Camp offers spectacular views over the river and surrounding flood plains. Fish, game dishes and home prepared cordon-bleu - our specialities. 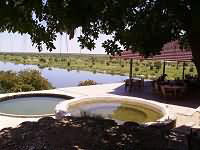 Tambuti is a small Lodge beautifully perched above the Kavango River overlooking the floodplain. We are one of the rare lodges looking at the river without getting wet feet, thus we are also open during the flood season, all year round.